The 22 mm offset CNC-machined triple clamps feature an integrated rubber damping system that reduces vibration and increases rider comfort. 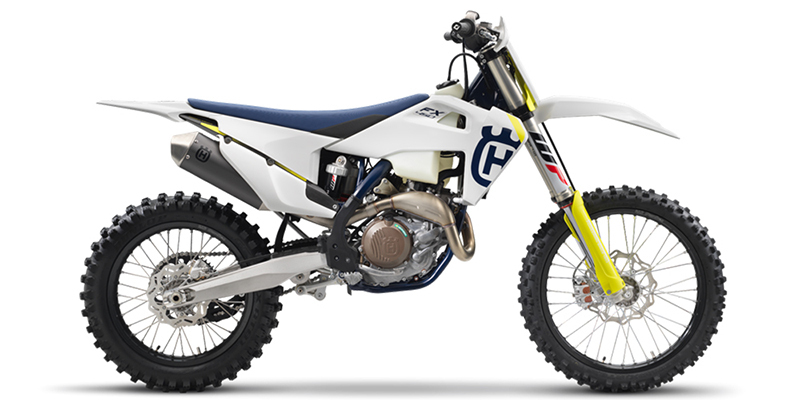 Due to the increased longitudinal rigidity of the main frame, the upper triple clamp is now stiffer and works in harmony with the front forks, offering superior handling and stability. A 3-way handlebar adjustment is standard and allows for customisable ergonomics. The FX 450 features a Dampened Diaphragm Steel clutch, which includes a single-diaphragm steel pressure plate instead of traditional coil springs. It integrates a damping system for better traction and durability. The clutch basket is a single-piece CNC-machined steel component that allows the use of thin steel liners and contributes to the compact design of the engine. 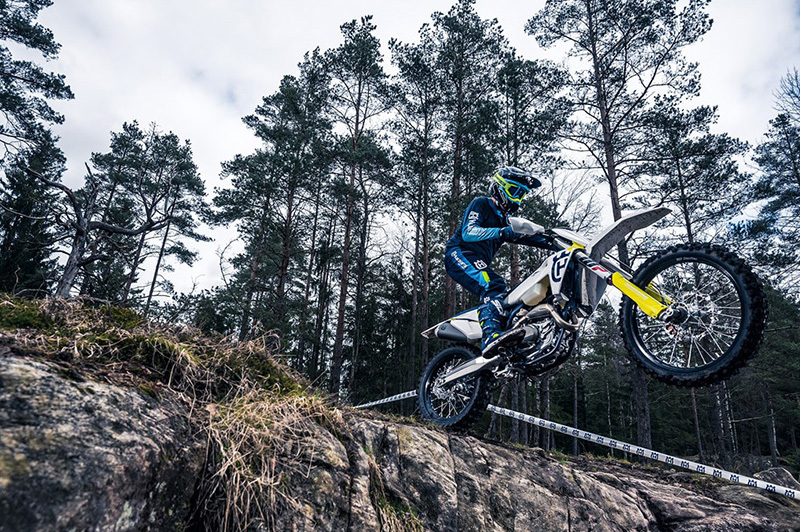 New for 2019, the bodywork on the offroad range showcase Husqvarna Motorcycles pioneering Swedish design. The ergonomics have also been tailored to deliver greater comfort and control, enabling riders to perform at the highest level for extended periods of time. After numerous tests, the contact points have also been slimmed down for seamless movement between riding positions. 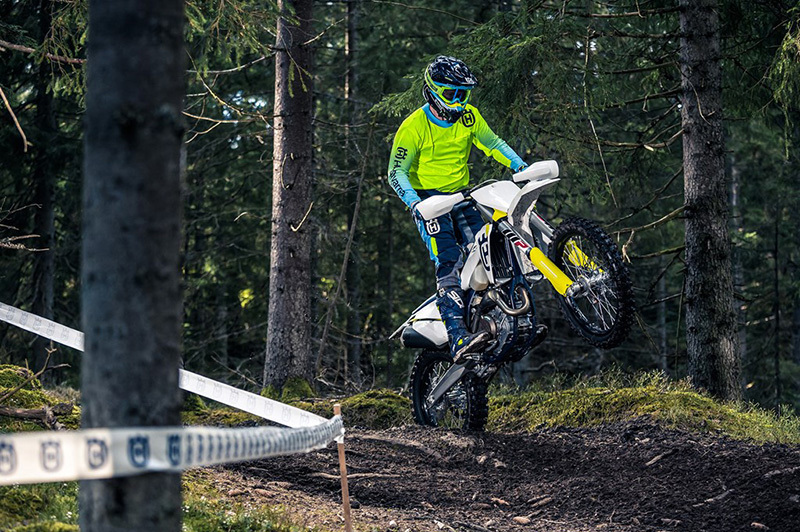 Made from high-strength alloy rims by D.I.D and featuring CNC-machined hubs, the wheels of the FX 450 are fitted with DUNLOP GEOMAX tyres with proven design for progressive cornering and superior grip on a variety of terrain.